The Lord said: Because these people draw near with their mouths and honor me with their lips, while their hearts are far from me, and their worship of me is a human commandment learned by rote; so I will again do amazing things with this people, shocking and amazing. The wisdom of their wise shall perish, and the discernment of the discerning shall be hidden. Ha! You who hide a plan too deep for the LORD, whose deeds are in the dark, and who say, "Who sees us? Who knows us?" You turn things upside down! Shall the potter be regarded as the clay? Shall the thing made say of its maker, "He did not make me" or the thing formed say of the one who formed it, "He has no understanding"? Shall not Lebanon in a very little while become a fruitful field, and the fruitful field be regarded as a forest? On that day the deaf shall hear the words of a scroll, and out of their gloom and darkness the eyes of the blind shall see. The meek shall obtain fresh joy in the LORD, and the neediest people shall exult in the Holy One of Israel. For the tyrant shall be no more, and the scoffer shall cease to be; all those alert to do evil shall be cut off-- those who cause a person to lose a lawsuit, who set a trap for the arbiter in the gate, and without grounds deny justice to the one in the right. Therefore thus says the LORD, who redeemed Abraham, concerning the house of Jacob: No longer shall Jacob be ashamed, no longer shall his face grow pale. For when he sees his children, the work of my hands, in his midst, they will sanctify my name; they will sanctify the Holy One of Jacob, and will stand in awe of the God of Israel. And those who err in spirit will come to understanding, and those who grumble will accept instruction. I saw no temple in the city, for its temple is the Lord God the Almighty and the Lamb. And the city has no need of sun or moon to shine on it, for the glory of God is its light, and its lamp is the Lamb. The nations will walk by its light, and the kings of the earth will bring their glory into it. Its gates will never be shut by day-- and there will be no night there. People will bring into it the glory and the honor of the nations. But nothing unclean will enter it, nor anyone who practices abomination or falsehood, but only those who are written in the Lamb's book of life. Then the angel showed me the river of the water of life, bright as crystal, flowing from the throne of God and of the Lamb through the middle of the street of the city. On either side of the river is the tree of life with its twelve kinds of fruit, producing its fruit each month; and the leaves of the tree are for the healing of the nations. Nothing accursed will be found there any more. But the throne of God and of the Lamb will be in it, and his servants will worship him; they will see his face, and his name will be on their foreheads. And there will be no more night; they need no light of lamp or sun, for the Lord God will be their light, and they will reign forever and ever. In those days Mary set out and went with haste to a Judean town in the hill country, where she entered the house of Zechariah and greeted Elizabeth. When Elizabeth heard Mary's greeting, the child leaped in her womb. And Elizabeth was filled with the Holy Spirit and exclaimed with a loud cry, "Blessed are you among women, and blessed is the fruit of your womb. And why has this happened to me, that the mother of my Lord comes to me? For as soon as I heard the sound of your greeting, the child in my womb leaped for joy. And blessed is she who believed that there would be a fulfillment of what was spoken to her by the Lord." And Mary said, "My soul magnifies the Lord, and my spirit rejoices in God my Savior, for he has looked with favor on the lowliness of his servant. Surely, from now on all generations will call me blessed; for the Mighty One has done great things for me, and holy is his name. His mercy is for those who fear him from generation to generation. He has shown strength with his arm; he has scattered the proud in the thoughts of their hearts. He has brought down the powerful from their thrones, and lifted up the lowly; he has filled the hungry with good things, and sent the rich away empty. He has helped his servant Israel, in remembrance of his mercy, according to the promise he made to our ancestors, to Abraham and to his descendants forever." And Mary remained with her about three months and then returned to her home. 1 Hear, O Shepherd of Israel, leading Joseph like a flock; shine forth, you that are enthroned upon the cherubim. 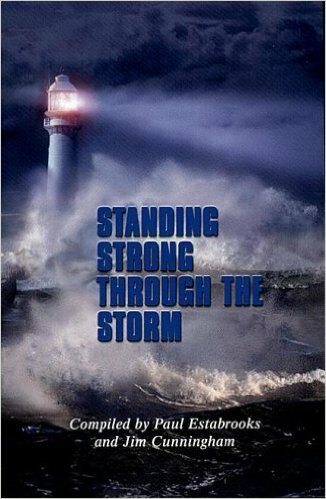 2 In the presence of Ephraim, Benjamin, and Manasseh, stir up your strength and come to help us. 3 Restore us, O God of hosts; show the light of your countenance, and we shall be saved. 4 O LORD God of hosts, how long will you be angered despite the prayers of your people? 5 You have fed them with the bread of tears; you have given them bowls of tears to drink. 6 You have made us the derision of our neighbors, and our enemies laugh us to scorn. 7 Restore us, O God of hosts; show the light of your countenance, and we shall be saved. 8 You have brought a vine out of Egypt; you cast out the nations and planted it. 9 You prepared the ground for it; it took root and filled the land. 10 The mountains were covered by its shadow and the towering cedar trees by its boughs. 11 You stretched out its tendrils to the Sea and its branches to the River. 12 Why have you broken down its wall, so that all who pass by pluck off its grapes? 13 The wild boar of the forest has ravaged it, and the beasts of the field have grazed upon it. 14 Turn now, O God of hosts, look down from heaven; behold and tend this vine; preserve what your right hand has planted. 15 They burn it with fire like rubbish; at the rebuke of your countenance let them perish. 16 Let your hand be upon the man of your right hand, and son of man you have made so strong for yourself. 17 And so will we never turn away from you; give us life, that we may call upon your Name. 18 Restore us, O LORD God of hosts; show the light of your countenance, and we shall be saved. 1 Hallelujah! Praise the LORD, O my soul! I will praise the LORD as long as I live; I will sing praises to my God while I have my being. 2 Put not your trust in rulers, nor in any child of earth, for there is no help in them. 3 When they breathe their last, they return to earth, and in that day their thoughts perish. 1 Hallelujah! How good it is to sing praises to our God! how pleasant it is to honor him with praise! 2 The LORD rebuilds Jerusalem; he gathers the exiles of Israel. 4 He counts the number of the stars and calls them all by their names. 5 Great is our LORD and mighty in power; there is no limit to his wisdom. 6 The LORD lifts up the lowly, but casts the wicked to the ground. 7 Sing to the LORD with thanksgiving; make music to our God upon the harp. 9 He makes grass to grow upon the mountains and green plants to serve mankind. 10 He provides food for flocks and herds and for the young ravens when they cry. 12 But the LORD has pleasure in those who fear him, in those who await his gracious favor. 14 For he has strengthened the bars of your gates; he has blessed your children within you. 15 He has established peace on your borders; he satisfies you with the finest wheat. 16 He sends out his command to the earth, and his word runs very swiftly. 17 He gives snow like wool; he scatters hoarfrost like ashes. 18 He scatters his hail like bread crumbs; who can stand against his cold? 19 He sends forth his word and melts them; he blows with his wind, and the waters flow. 20 He declares his word to Jacob, his statutes and his judgments to Israel. 21 He has not done so to any other nation; to them he has not revealed his judgments. Hallelujah! Luke 2:8-11 (NIV) And there were shepherds living out in the fields nearby, keeping watch over their flocks at night. An angel of the Lord appeared to them, and the glory of the Lord shone around them, and they were terrified. But the angel said to them, “Do not be afraid. I bring you good news that will cause great joy for all the people. 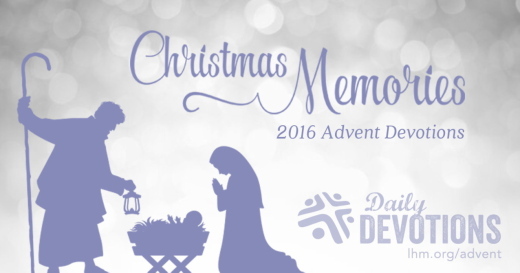 Today in the town of David a Savior has been born to you; he is the Messiah, the Lord. Morning Devotions with Cap'n Kenny - "What Christmas Is About"
As we look at our world today, we realize that part of the promise of Isaiah 9:6–7 has not yet been fulfilled. The Son has been given. The Child has been born. But He has not yet taken the government upon His shoulders. We do not yet have peace with judgment and justice. But the good news is that there will come a day when Christ will return. He will establish His kingdom on this earth. And it will be the righteous rule of God Himself. Before Jesus could take the government upon His shoulder, He had to take the cross upon His shoulder. Before He could wear the crown of glory as King of Kings, He had to wear the shameful crown of thorns and give His life as a sacrifice for the sins of the world. The first time, a star marked His arrival. But the next time He comes, the heavens will roll back like a scroll, all of the stars will fall from the sky, and He Himself will light it. Christ came to this earth. God came near to you so you can come near to Him—to give your life purpose and meaning, to forgive you of your sins, and to give you the hope of heaven beyond the grave. Christmas is not about tinsel or shopping or presents. Christmas is not about the gifts under the tree. Rather, Christmas is about the gift that was given on the tree when Christ died there for our sins and gave us the gift of eternal life. Iraq is probably the last place in the world you’d expect to find an illustration of the beautiful bride of Christ. Yet on top of a beautiful plateau in the mountains of Kurdistan (Northern Iraq) a group of Arab Christians organized a prayer conference. More than five hundred Christians from all over Iraq, from all kind of churches including twenty local church leaders, came to pray for unity and peace in the country. “Oh God, unite our country again, bring peace to the Christians and strengthen your people,” was the common prayer on everybody’s lips. “This was a unique and wonderful experience for the Iraqi church,” shares Joyce who was one of the participants. RESPONSE: I will never lose faith that Jesus is developing His beautiful bride around the entire world. 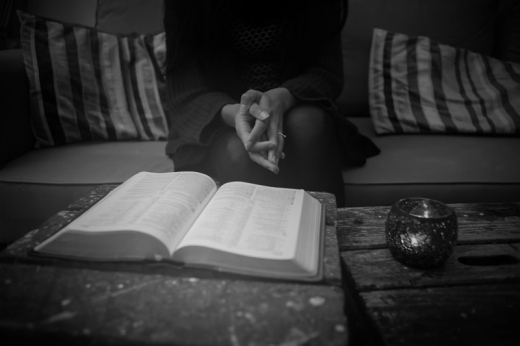 PRAYER: Pray that Iraqi Christians will continue to perceive themselves as Jesus’ beautiful bride. Tú y yo tenemos el llamado a ser ejemplo. ¿Has pensado alguna vez que por nuestra mala actitud hemos espantando literalmente gente que podría estar en los caminos de Dios? ¡Qué tremendo es que aun amando a Dios nos dejemos llevar por ese carácter explosivo que en un momento de ira dice y hace cualquier cosa menos buscar de Jesús! ¿Qué te parece si hoy traemos a nuestra memoria a cuantas personas hemos ofendido, maltratado o juzgado y por esas razones no quieren saber nada de ti ni de Dios? Sería de mucha bendición para tu vida que buscaras esas personas y les pidieras perdón. No es bíblico ni sano llevarnos mal con otras personas. Eso daña nuestra vida espiritual y no permite que se desaten las bendiciones que nos envía Dios. Cada día, dispongamos nuestro corazón de manera que refleje el carácter de Cristo y llevemos cautivo todo pensamiento a la obediencia del Padre. “Magi from the east came to Jerusalem and asked, ‘Where is the one who has been born king of the Jews? We saw his star in the east and have come to worship him’” (Matthew 2:1b-2 niv). An African boy listened carefully as his missionary teacher explained why Christians give presents to each other on Christmas day. “The gift is an expression of our joy over the birth of Jesus and our friendship for each other,” she said. When Christmas day came, the boy brought to the teacher a seashell of lustrous beauty. “Where did you ever find such a beautiful shell?” the teacher asked as she gently fingered the gift. I just love that story. During the holiday season, I watch as people scurry about swiping those plastic cards through the credit card machines faster than a speeding bullet. And yet, God has already shown us that the most precious gifts cannot be bought or sold. “For God so loved the world that he gave his one and only Son, that whoever believes in him shall not perish but have eternal life” (John 3:16 niv emphasis added). I wonder how far we are willing to go to worship Jesus…to bring our gifts to Him. I wonder how far out of the way we would go to praise Him…to honor Him. Do we give to Him only when it is convenient or easy? Or do we give what He wants most—our very lives? 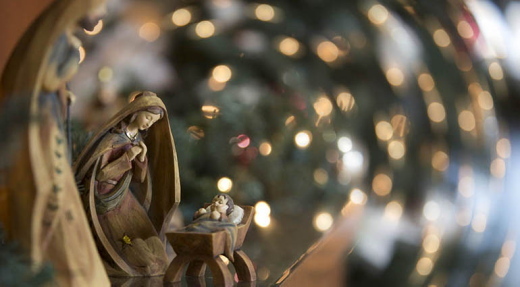 Today, let’s consider what gift we will give the Christ-child this year. Dear God, thank You for the gift You gave us through Your Son, Jesus Christ. I pray that I will keep gift-giving in perspective this holiday season and give gifts from the heart rather than the pocketbook. Help me to see that a “long walk,” or a portion of myself, is the greatest gift of all. Describe a time when someone’s sacrificial gift meant a lot to you. Try to imagine the teacher who received the shell. What thoughts do you think came to her mind when she looked at it year after year? Do you think it was the shell itself, or the heart of the boy who gave it to her, that meant so much? It is easy to get caught up in the pre-Christmas swirl of activity and lose focus on what’s important. If you would like ways to keep Jesus the focus of your holiday season, you’ll love my book, Celebrating a Christ Centered Christmas: Ideas from A-Z. It’s packed with helpful ideas and inspiration. And what better to give your hubby than the gift of prayer. Check out my book Praying for Your Husband from Head to Toe: A Daily Guide to Scripture-Based Prayer. 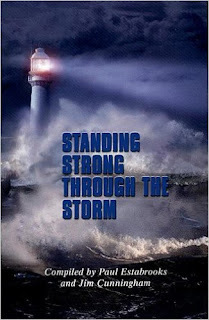 LHM Daily Devotion - "Our Family Photo Album"
And the child grew and became strong in spirit (Luke 1:80a, ESV). It's fun to look through our family photo albums. Christmas after Christmas each of us grows taller. Before too long girlfriends start showing up, and then wives, and children of our own. Now the father of a teenager myself, it's fun to sit down and watch videos of past Christmases and see my son growing into a young man-strong in body, mind and spirit. Luke concludes the account of John's birth with an interesting footnote and a reminder: John "grew and became strong in spirit, and he was in the wilderness until the day of his public appearance to Israel." Since Zechariah and Elizabeth were both advanced in years before John was conceived, it is quite possible neither of them lived long enough to see him grow to adulthood. 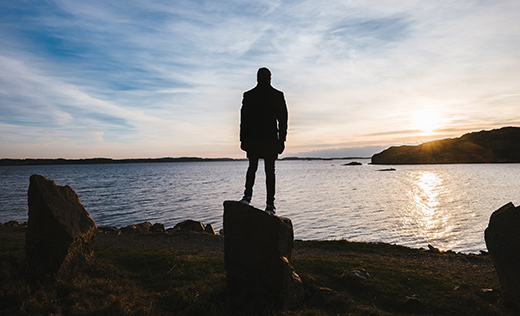 When John was grown he lived in the wilderness, awaiting the moment the Spirit of God would stir him to begin his work, preparing the people of Israel for their Savior. John wasn't born to remain a little baby and neither was Jesus. As Christmas Day draws near we take a moment to look back into the photo album of our human family. When we do we see our Brother Jesus on the day of His birth. But Jesus didn't stay that little Baby in the manger; He grew to be a remarkable man whose story will unfold more clearly and completely in the accounts of His adult life. This we will see in the upcoming Lenten devotions, especially His death and resurrection that set us free. In the meantime, as our Christmas devotions continue, we rejoin Mary and remember the birth of her special Baby Jesus. THE PRAYER: Heavenly Father, thank You for sending Your Son to save us. Open my mind to watch Jesus grow from that tiny Baby to be my powerful Savior and Lord. In Jesus' Name. Amen. No hay palabras para explicar el tremendo privilegio que habría de tener María, la madre de nuestro Salvador. Una joven virgen pueblerina, comprometida para casarse, un buen día es visitada por un mensajero del cielo. Podemos imaginarnos lo que pasó por su mente y su corazón durante ese encuentro. ¡Cuántas preguntas! ¡Qué sorpresa! Una historia preciosa que venía germinando por siglos, de pronto iba a brotar con esplendor. María habría de engendrar al ser más extraordinario que ha pisado esta tierra: al mismísimo Hijo de Dios, la encarnación de la segunda persona de la Santa Trinidad. Un gran hombre, pero al mismo tiempo Hijo del Altísimo. Cielo y tierra, Dios y hombre, desde ahora estarán fundidos en ese ser que unirá para siempre al Creador con la criatura. Dios decide hacerse humano, y ese encuentro se producirá en el vientre de esa joven escogida. ¡Cuánta emoción! Dios tomará su carne y su sangre del cuerpo de una mujer a la que Él mismo había preparado desde la eternidad. María es la nueva Eva, la mujer a través de la cual nace la simiente para aplastar la cabeza a Satanás. Para quienes hemos sido esclavizados por el pecado, para aquellos que sufrimos por estar lejos del Creador, este relato nos muestra cuán en serio toma Dios nuestra situación. ¡Cuánta esperanza! Que la humildad y la fe de María nos tracen la senda en este tiempo de Adviento. Confiemos, alegrémonos y celebremos aquello que Dios nos regala. Jesús, hijo de María: Cuánto amor me has demostrado al dejar tu gloria eterna para hacerte uno de nosotros. Que mi corazón confíe y se regocije por este regalo. Ven a mi corazón, Señor. Amén. “On the second Christmas—and second season without football—I went to a Christmas play at this guy’s church,” he said, gesturing toward his friend. “Not because I wanted Jesus, but just to see my niece in her Christmas pageant. It’s hard to describe what happened because it sounds silly, but right in the middle of that kids’ play, I felt like I needed to be with those shepherds and angels meeting Jesus. When that crowd finished singing ‘Silent Night,’ I just sat there weeping. This Christmas, may the joyful simplicity of the story of Jesus’s birth be the story we tell to others. The best Christmas gift is Jesus bringing peace and forgiveness to others. … estad siempre preparados para presentar defensa […] ante todo el que os demande razón de la esperanza que hay en vosotros (1 Pedro 3:15). En un retiro espiritual de invierno, un hombre preguntó: «¿Cuál fue el mejor regalo de Navidad que recibiste?». »El año siguiente, en Navidad, fui a ver una obra en la iglesia de un amigo. No porque quisiera conocer a Jesús, sino para ver a mi sobrina que actuaba. Es difícil describir lo que sucedió porque suena tonto, pero, en medio de la obra, sentí que necesitaba estar entre esos pastores y ángeles que recibían a Jesús. Después de escuchar cantar Noche de paz, me quedé sentado llorando. »Esa noche, recibí mi mejor regalo de Navidad, cuando un amigo, que está aquí a mi lado ahora, se quedó para decirme cómo aceptar a Jesús como mi Salvador». En ese momento, su amigo exclamó: «Y ese también fue mi mejor regalo de Navidad en la vida». 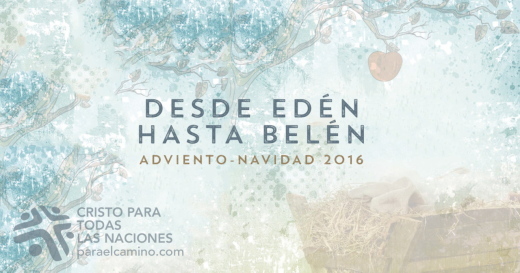 Esta Navidad, no dejemos de contarles a otros la historia gozosa y sencilla del nacimiento de Jesús. Padre, que podamos ver a quienes necesitan al Salvador y les hablemos de Él. Que recordemos que la razón de esta celebración es oír y contar la historia de tu Hijo. El mejor regalo de Navidad es Jesús, y la paz y el perdón que ofrece a todos. Lasst auch uns diese Weihnachten einfach die Geschichte von der Geburt Jesu erzählen. Vater, schenke uns Augen, die sehen, wer einen Erlöser braucht, und den Mut, ihnen von dir zu erzählen. Hilf uns, daran zu denken, dass es in dieser Weihnachtszeit darum geht, die Geschichte von deinem Sohn zu hören und zu erzählen. Das beste Weihnachtsgeschenk ist Jesus und der Friede und die Vergebung, die er schenkt. Один мужчина атлетического телосложения поднял руку. «Это просто, – ответил он, поглядывая на своего сидящего рядом друга. – Несколько лет назад я закончил колледж, думая, что сделаю карьеру в профессиональном футболе. Но не получилось, и я озлобился. Злость разъедала меня, и я выливал ее на любого, кто хотел помочь. На Рождество, это был второй год без футбола, я пошел на рождественскую постановку в церкви этого парня, – продолжал он, кивая на своего друга. – Не потому, что интересовался Библией, а потому что в постановке участвовала моя племянница. Трудно описать, как это случилось. Прозвучит по-детски, но прямо в середине представления я почувствовал, что хочу быть с теми пастухами, которые пришли к Иисусу. Когда все запели «Тихая ночь», я сидел и плакал. И вот каким был мой лучший подарок на Рождество, – закончил рассказчик, снова указывая на соседа. – Этот парень отправил свою семью домой, а сам остался со мной и рассказал, как встретиться со Христом». Тут, наконец, подал голос и друг: «Это, ребята, был и мой лучший рождественский подарок». Пусть радостная простота повествования о рождении Иисуса Христа вдохновит нас на свидетельство о Нем. Отче, открой нам глаза, чтобы видеть тех, кто нуждается в Спасителе, и смелость, чтобы рассказать о Нем. Помоги нам помнить, что главное в Рождестве – весть о Твоем Сыне. Лучший рождественский подарок – Иисус, дарующий мир и прощение. Puissions‑nous, ce Noël, choisir de raconter l’histoire de la naissance de Jésus avec simplicité et joie.